Vote now and help us win best pizza in the Northwest. The Heart Smart - This healthy pizza option comes with artichoke hearts, spinach, tomatoes. We cover our excellent dough with a layer of house-made spinach-artichoke dip, chicken, and mozzarella cheese (with garlic-parmesean crust) to make a pizza that you’ll love just as much as Doug and Tamara’s daughter Brie! These tasty bites of Wisconsin cheese are breaded and deep-fried. These tasty breadsticks are stuffed with our house-made blend of spinach-artichoke dip. 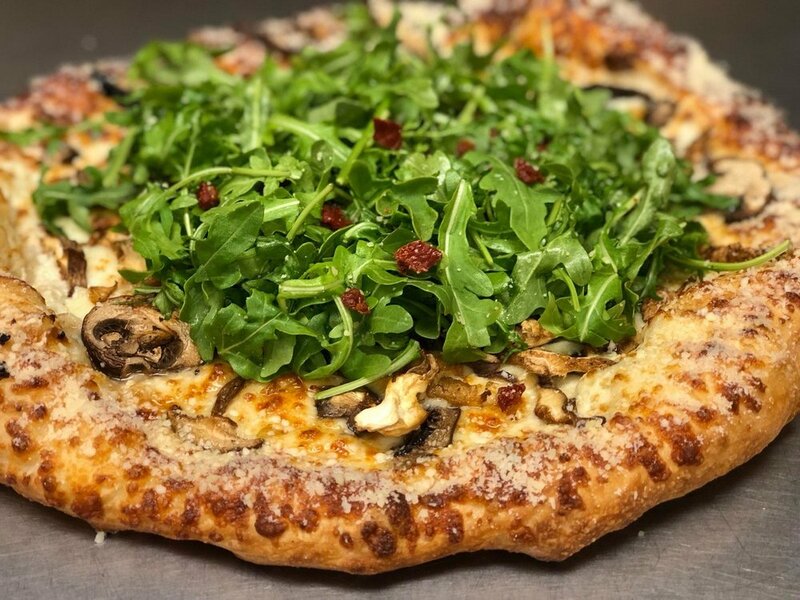 This delicious pizza starts with Alfredo sauce, and gets loaded with our wild mushroom blend and mozzarella cheese. Then baked and topped it with baby arugula tossed in olive oil, Parmesan, and a pinch of salt, some sun-dried tomatoes, and an olive oil and Parmesan crust.